I am a member of the CC!KC Advisory Board and active in fundraising for our organization. After graduating from Washington College, I started working at Dixon valve where I was introduced to CC!KC. I have been coaching at Kent County Middle School since 2011. 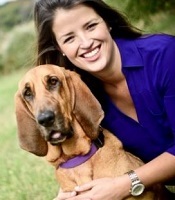 I am very passionate about the outdoors and enjoy spending as much of my time as possible outside riding my horse, hunting, hiking, boating or playing with my Bloodhound Nelli.